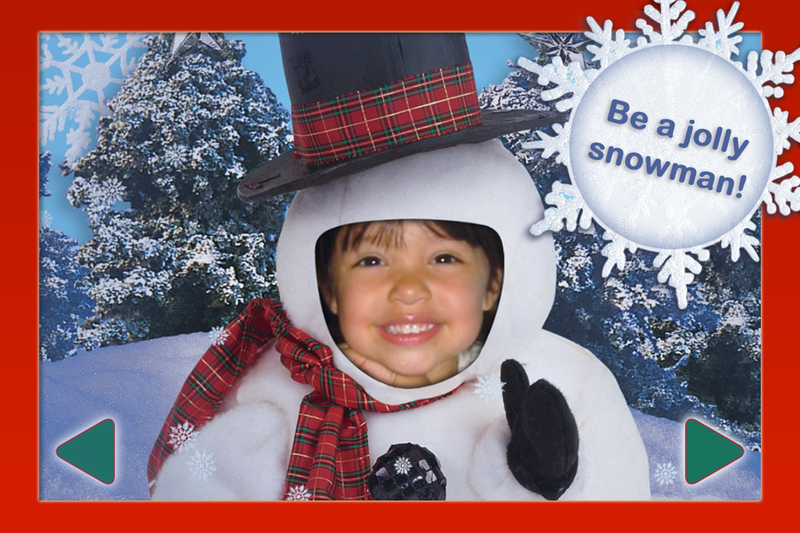 A sweet holiday book app to personalize with your child's photo! Picture Me Christmas Cutie is a short, sweet book app that features a story that your child can star in ... insert a picture from your photo album or take one with the iPhone or iPad2 camera. Then over 12 pages, find a cute story that features your child on every other page. Young children will appreciate the simple graphics of babies in animal costumes and delight in seeing their own face. Text is narrated with word-by-word highlighting in an easy-to-read font with simple sentences perfect for learner readers. Light animation and interactivity round out this lovely little app.